Sometimes I feel like I’m living in a science fiction movie. I was enjoying our writer’s group meeting at the (staid) public library, when two friends walk in. 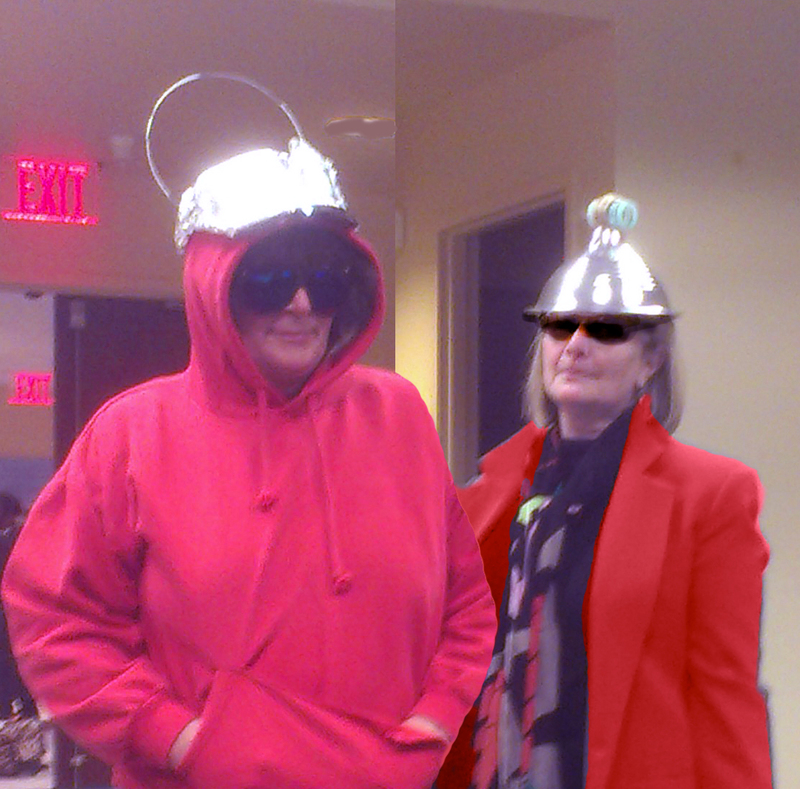 Nothing too unusual, aside from their costumes: red jackets, big sunglasses, and shiny hats made from colanders and foil. They are walking stiffly, like robots. With fists full of flowers. It’s as is Trudy from Search for Intelligent Life had sent her friends on a mission. 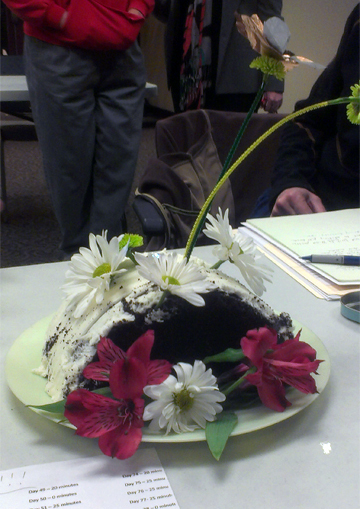 To deliver cake, studded with pipe cleaners and flowers. CAKE! Did I need cake? In preparation for the sugary holiday treats, I brought strawberries (thank god!). Gwen brought cookies. Kay arrived with her usual witticisms wondering aloud if she brought cookies would it distract us from noticing she hadn’t accomplished her writing goals. And then there’s cake. My life is populated with colorful, creative characters, brilliant, loving people who weave their creative joy through my life, and I wouldn’t have it any other way. And if I see little green men on the way home, I won’t bat an eye.